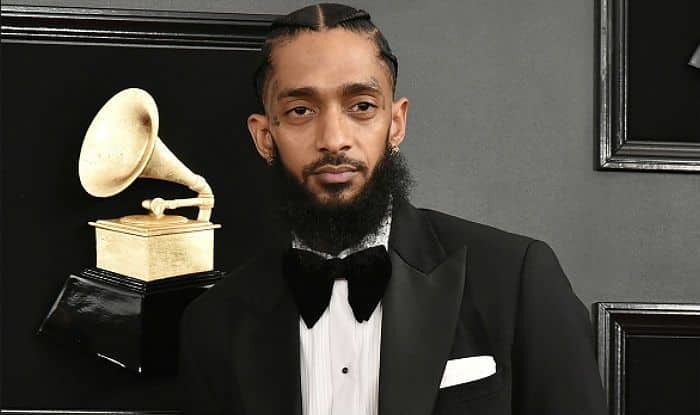 Nipsey Hussle was 33-year-old and is survived by two kids - daughter Emani Asghedom and son Kross Asghedom. American rapper Nipsey Hussle was shot dead outside his store, Marathon Clothing, in Los Angeles on Sunday, March 31. As per news agency AFP, at approximately 3: 20 pm, there was a shooting reported in the area of Slauson Avenue and Crenshaw Boulevard. Three victims were transported to a local hospital where Nipsey was pronounced deceased. No information about the suspect has been released so far. His death has shocked the fans who have flooded social media with love and condolences. The rapper was nominated at 61st Annual Grammy Awards this year in the Best Rap Album category. After the news of his death circulated, fans gathered around the area where he was shot dead. They reportedly played his music in volume and brought flowers/ candles to mourn his death. Several reports also suggest that it was a military-style shooting with five shots to the body and one to the head. There’s no confirmation of the same by the authorities yet. Nipsey was trying to open eyes and dies! That man died right in front of everything he worked for, in a neighborhood he did everything for. Hussle’s claim to fame, after emerging from the West Coast hip hop scene in the mid-2000s, was the release of many mixtapes including the popularity of Bullets Ain’t Got No Names, The Marathon, Tha Marathon Continues and Crenshaw. He was in a relationship with actor and model Lauren London, with whom he also had a son named Kross Asghedom. The rapper had a daughter named Emani from his previous relationship. RIP.